The quest for a perfect cat eye is one that any makeup user has undoubtedly had. Some might have mastered the little feline flick, others not so much. But whether you’re a skilled master or still learning the basics, you can get that Lauren Conrad-approved look with any eyeliner tool you have handy. To tell you just how to do a cat-eye with every eyeliner tool imaginable, we tapped two of the industry’s top makeup artists. 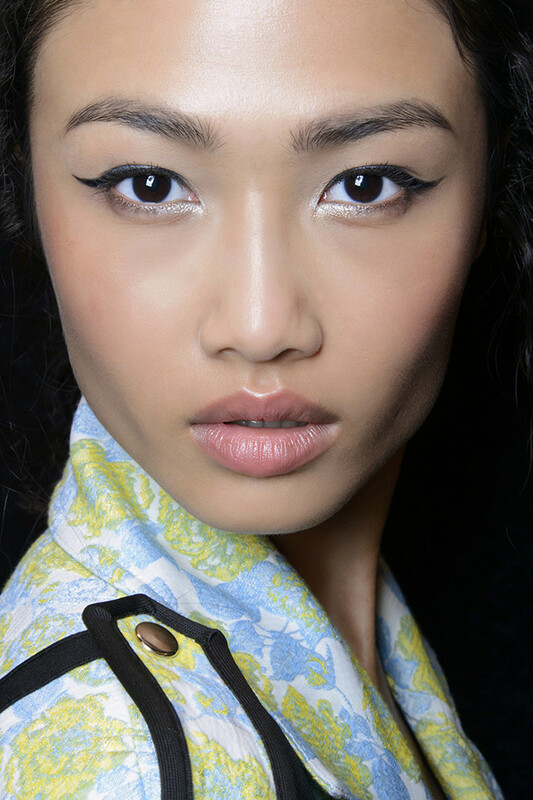 Get ready for eyeliner pur-fection—sorry, we had to. Felt-tip pen style liners are probably the easiest to use for liquid beginners, but if you want to experiment with a brush and bottle formula, butter LONDON Global Colour Ambassador Katie Jane Hughes suggests reaching for one with a liquid-y base, like butter LONDON Iconoclast liner ($20, shop.nordstrom.com). “I use the back of my hand as the palette, and twist my liner brush to a perfect point in the liquid,” she says of the application technique. “Start with the wing and work your way back in—this way you can adjust the thickness of your line to mask any mistakes,” she adds. “Kohl is best for thick, black lines to form a dramatic winged eye,” says Nina Leykind, co-founder of Eyeko. (Think Amy Winehouse and classic Cleopatra when it comes to kohl liner.) To properly get a winged look with kohl, Leykind says use a primer first to ensure your hard work doesn’t budge, which is particularly important since kohl tends to be less smudge-proof then other liners. But if you do smudge, why not go for a bit of a smokey cat eye instead? Start with the wing and work inward to get the perfect flick. When using a gel liner, Hughes says the secret lies in the brush: The finer the brush, the better. “Gels tend to be a thicker consistency and deposit more product naturally because of the formula.” Leykind agrees and suggests reaching for an angled brush for this particular formula. When applying, only dip the bristle tips into the color, she says. “Push the bristles into the lash roots as you run the brush along the upper lash line, building up the line as you,” Leykind says. “Allow the edge of the brush to mark your wing for you then gently fill in the line with color to complete the look.” Of course if you’re not handy with a brush, gel liner also comes in an easier-to-use pencil form like Eyeko Sport Waterproof Eyeliner ($20, eyeko.com). Cream liners have a little bit wetter of a formula than gel liner, but generally they’re very similar. Similarly to application techniques for a gel liner, the thinner the brush the better for a cream liner. Try using the back of your hand as a palette to control product and then apply as close to lashline as possible, making tiny movements as you work along, explains Hughes. “Crayons tend to be chunky, so use yours to ring around the whole eye and soften the look with a cotton bud or blending brush,” says Leykind. “Use an angled brush to pick up color from the crayon tip to create an even, defined wing.” We recommend a crayon for a heavier, more dramatic look.